lightfingers shared this project on Thingiverse! A 3d printed 12 digit split-flap display using a 28byj-48 stepper motor. The motor was moved to the back to provide a slimmer profile. 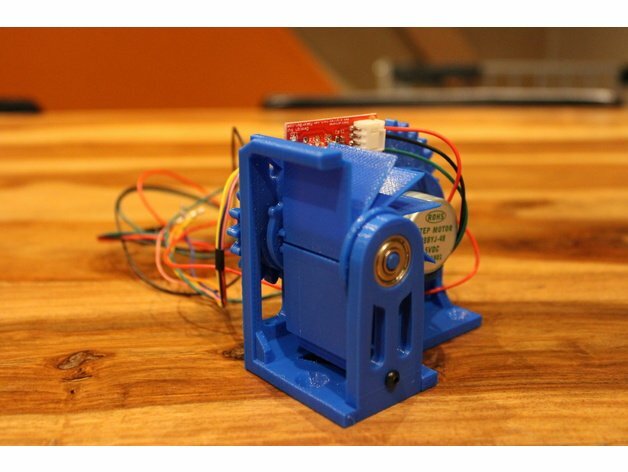 A 3d printer endstop module is used to check for the position of the drum with each rotation. The bearings that I used are 625zz. Several of these modules can be put together for a clock or counter. The mechanical part of this project is finished, next step is to code in order to create a clock out of these.